We have recently transferred a number of recordings of the poet, Anthony Rye, reading his work. 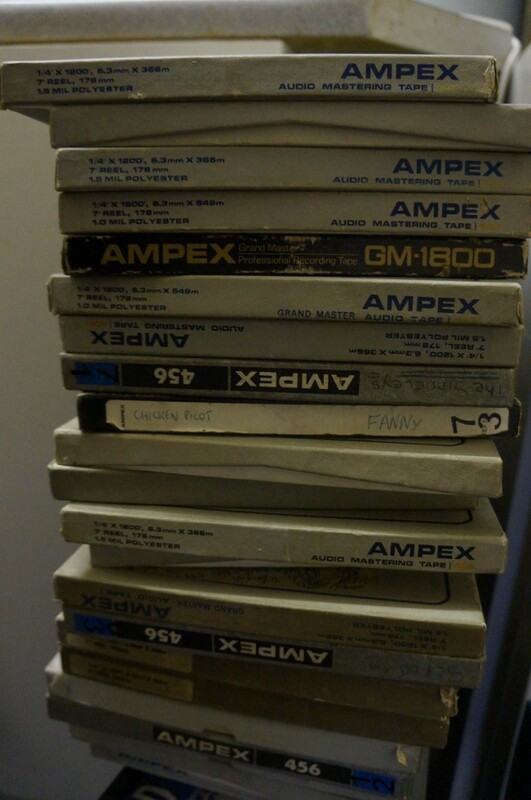 The tapes were sent by his Grandson Gabriel who was kind enough to tell us a bit more about Anthony’s life and work. 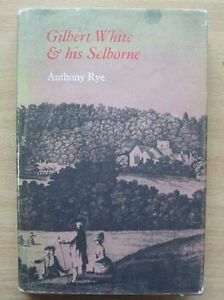 ‘Anthony Francis Rye is intimately associated with the Hampshire village of Selborne, a village made famous by Gilbert White and his book, Natural History of Selborne. The Rye family has been here since the end of the 19th century and Anthony came to live here in the 1940s with his wife, in the house I now live in. Gilbert White’s life and work was a significant influence on Rye’s work and in 1970 he published the book Gilbert White and his Selborne. Although the BBC has previously broadcast Rye’s poems, Gabriel tell us that these particular recordings have not been. Until now the recordings have been stored in Arthur’s house; migrating them to digital files is an exciting opportunity for family members, but also hopefully wider audiences, to access Rye’s work. The machine, which used a ‘ServoControl Motor; the same type of motor used is missile guidance control systems where critical timing accuracy is a must,’ is historically notorious for its use by US President Richard Nixon who racked up 3,700-4,000 hours of recordings that would later implicate him during the Watergate Scandal. Sahr Conway-Lanz explains that ‘room noise may constitute roughly one quarter of the total hours of recorded sound’ because tape machines recorded at the super slow speed of 15/16 of an inch per second ‘in order to maximize the recording time on each tape’ (547-549). Decreasing the speed of a tape recording causes a uniform reduction in the linearity of response, resulting in more hiss and dropouts. If you listen to the recordings made by Nixon, it is pretty hard to discern what is being said without reference to the transcripts. There were no big issues with the condition of the Anthony Rye tapes other than a small amount of loose binder shedding. This was easily solved by dry cleaning with pellon fabric prior to digitization. Although in some cases playing back tapes on exactly the same machine as it was recorded on is desirable (particularly so with DAT transfers), we migrated the recordings using our SONY APR 5003. 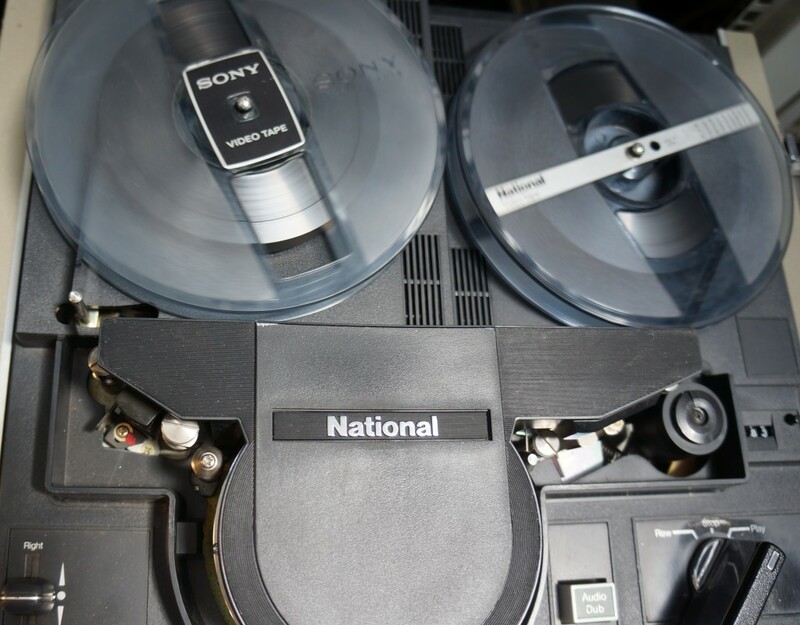 Using a technically superior model, one of the few large format professional reel-to-reel machines SONY manufactured, mitigates the extent errors are added to the recording as part of the transfer process. Furthermore, the greater flexibility and control offered with the 5003 makes it easier to accurately replay tapes recorded on machines that had lower specifications. Another slight adjustment was attaching longer leader tape to the front and end of the tape. This is because the Sony APR 5003 has a much longer tape path than the 800B, and if this isn’t done material can be lost from the beginning and end of the recording. The journeys we have been on above – from the natural history of a Hampshire village seen through the eyes of largely unknown poet to the Watergate scandal – is another example of the diverse technical, cultural and historical worlds that are opened up by the ‘mysterious little reddish-brown ribbon‘ and its playback mechanisms. 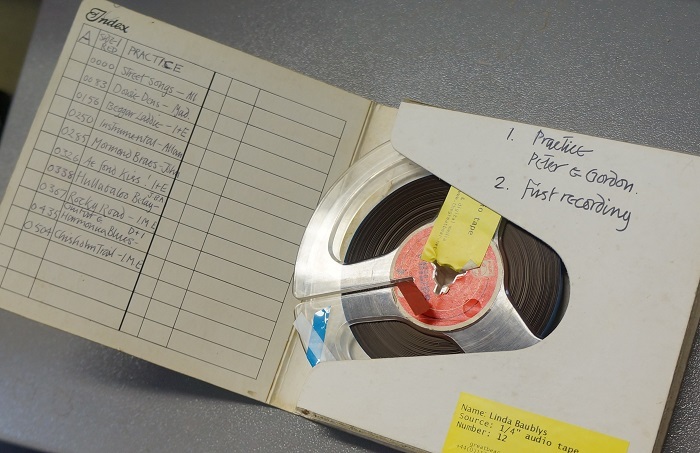 We have recently transferred a previously unpublished 3” ¼ inch tape recording of British 20th century composer Phyllis Tate’s Nocturn for Four Voices. 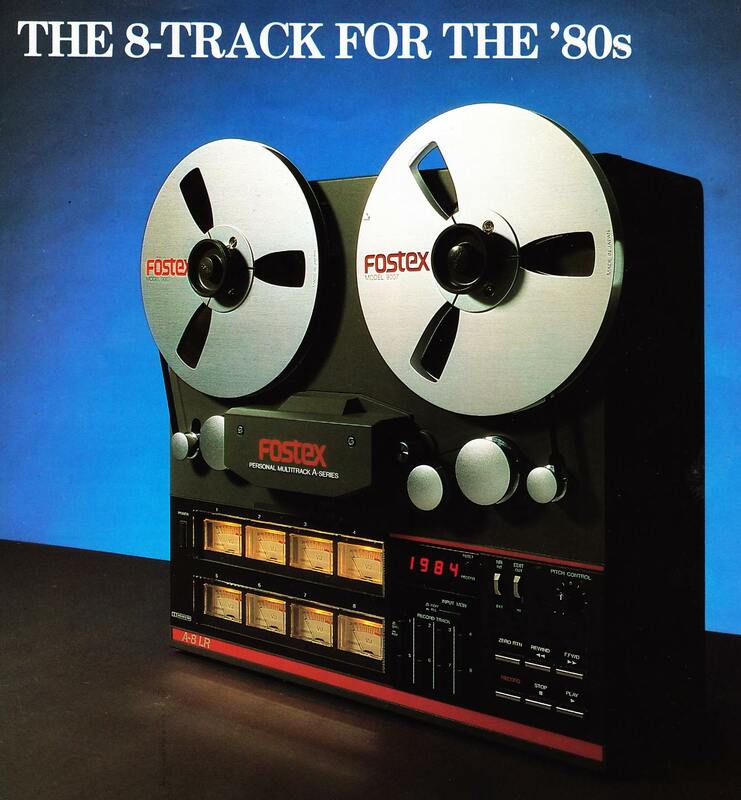 The tape is a 2-track stereo recording made at 7.5 inches per second (in/s) at the Purcell Room in London’s Southbank Centre in 1975, and was broadcast on 16 September 1976. 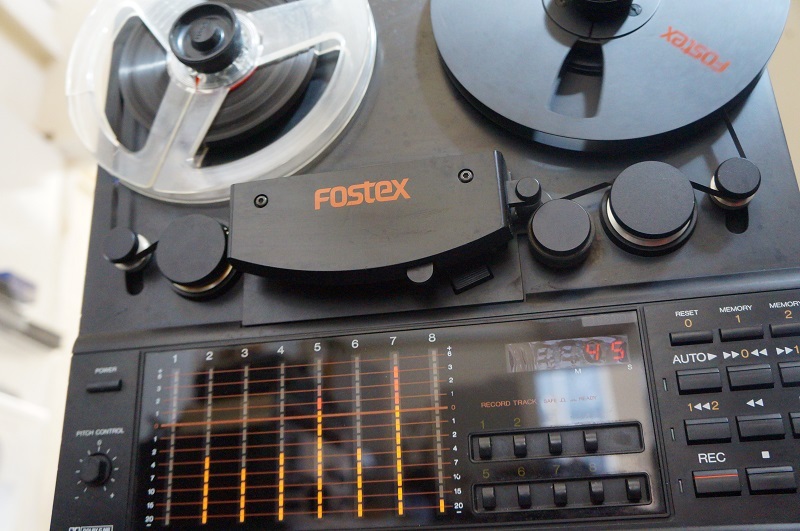 When migrating magnetic tape recordings to digital files there are several factors that can be considered to assess the quality of recording even before we play back the tape. One of these is the speed at which the tape was originally recorded. Generally speaking, the faster the speed the better the reproduction quality when making the digital transfer. This is because higher tape speeds spread the recorded signal longitudinally over more tape area, therefore reducing the effects of dropouts and tape noise. 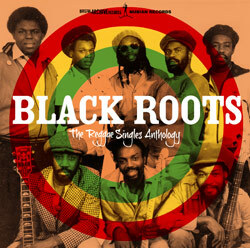 The number of tracks recorded on the tape also has an impact on how good it sounds today. Simply put, the more information stored on the tape due to recording speed or track width, the better the transfer will sound. The tape of Nocturn for Four Voices was however suffering from binder hydrolysis and therefore needed to be baked prior to play back. 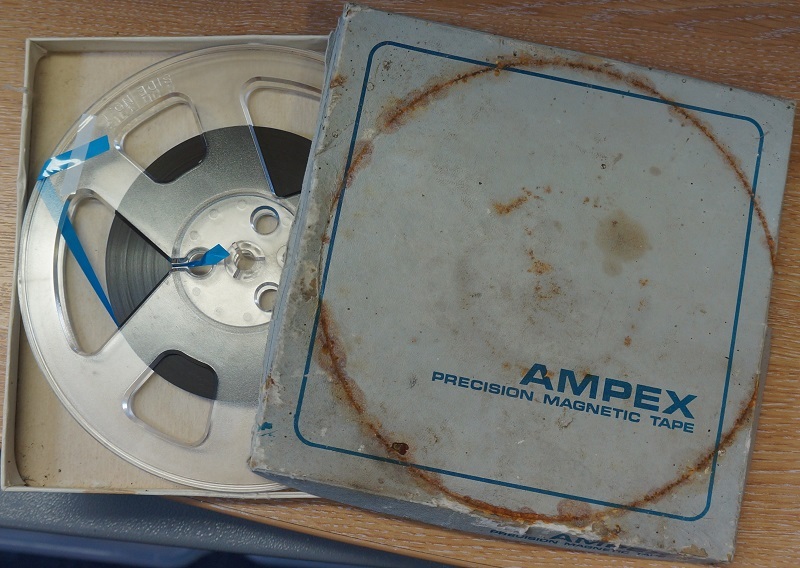 EMI tape doesn’t normally do this but as the tape was EMI professional it may well have used Ampex stock and / or have been back coated, thus making the binder more susceptible to such problems. Nocturn for Four Voices is an example of how Tate ‘composed for unusual combinations of instruments and voice.’ The composition includes ‘Bass Clarinet, Celeste, String Quartet and Double Bass’, music scholar Jane Ballantyne explains. 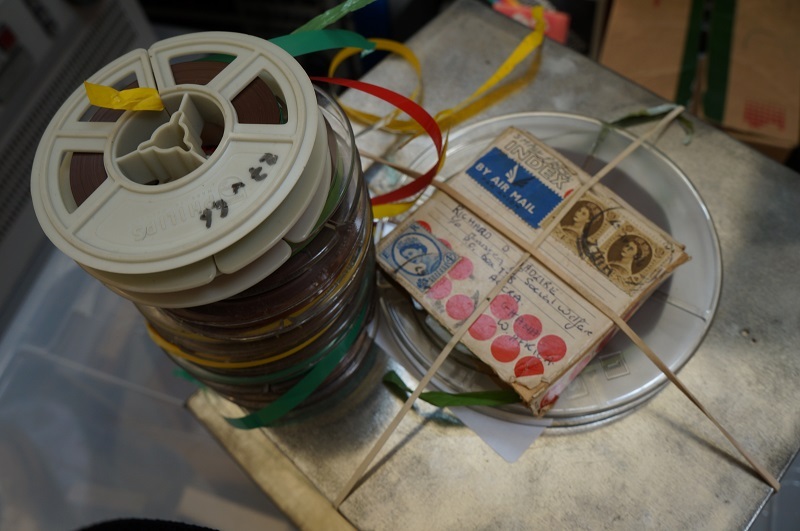 The tape was brought into us by Tate’s daughter, Celia Frank, who is currently putting the finishing touches to a web archive that, she hopes, will help contemporary audiences (re)discover her mother’s work. Like many women musicians and artists, Phyllis Tate, who trained at the Royal Academy of Music, remains fairly obscure to the popular cultural ear. This is not to say, of course, that her work did not receive critical acclaim from her contemporaries or posthumously. Indeed, it is fair to say that she had a very successful composing career. Both the BBC and the Royal Academy of Music, among others, commissioned compositions from Tate, and her work is available to hire or buy from esteemed music publishers Oxford University Press (OUP). Tate’s work is a varied and untapped resource for those interested in twentieth century composition and the wider history of women composers. We wish Celia the best of luck in getting the website up and running, and hope that many more people will be introduced to her mother’s work as a consequence. Thanks to Jane Ballantyne and Celia Frank for their help in writing this article. A consistent focus of our blog is the technical and theoretical issues that emerge in the world of digital preservation. For example, we have explored the challenges archivists face when they have to appraise collections in order to select what materials are kept, and what are thrown away. Such complex questions take on specific dimensions within the world of digital preservation. If you work in digital preservation then the term ‘significant properties’ will no doubt be familiar to you. The concept has been viewed as a hindrance due to being shrouded by foggy terminology, as well as a distinct impossibility because of the diversity of digital objects in the world which, like their analogue counterparts, cannot be universally generalised or reduced to a series of measurable characteristics. Such a philosophy may elicit groans of frustration from information managers who may well want to leave their digital collections alone, and practice a culture of non-intervention. Yet this adaptive-style of project management, which is designed to respond rapidly to change, is often contrasted with predictive development that focuses on risk assessment and the planning of long-term projects. The argument against predictive methodologies is that, as a management model, it can be unwieldy and unresponsive to change. This can have damaging financial consequences, particularly when investing in expensive, risky and large scale digital preservation projects, as the BBC’s failed DMI initiative demonstrates. Indeed, agile software development methodology may well be an important key to the sustainability of digital preservation systems which need to find practical ways of maneuvering technological innovations and the culture of perpetual upgrade. Agility in this context is synonymous with resilience, and the practical application of significant properties as a means to align file format interoperability offers a welcome anchor for a technological environment structured by persistent change. What significant properties imply, as archival concept and practice, is that desiring authenticity for the digitised and born-digital objects we create is likely to end in frustration. Simply put, preserving all the information that makes up a digital object is a hugely complex affair, and is a procedure that will require numerous and context-specific technical infrastructures. As Trevor Owens explains: ‘you can’t just “preserve it” because the essence of what matters about “it” is something that is contextually dependent on the way of being and seeing in the world that you have decided to privilege.’ Owens uses the example of the Geocites web archiving project to demonstrate that if you don’t have the correct, let’s say ‘authentic’ tools to interpret a digital object (in this case, a website that is only discernible on certain browsers), you simply cannot see the information accurately. Part of the signal is always missing, even if something ‘significant’ remains (the text or parts of the graphics). It may be desirable ‘to preserve all aspects of the platform in order to get at the historicity of the media practice’, Jonathan Sterne, author of MP3: Meaning of a Format suggests, but in a world that constantly displaces old technological knowledge with new, settling for the preservation of significant properties may be a pragmatic rather than ideal solution. To bring these issues back to the tape we work we with at Great Bear, there are of course times when it is important to use the appropriate hardware to play the tapes back, and there is a certain amount of historically specific technical knowledge required to make the machines work in the first place. We often wonder what will happen to the specialised knowledge learnt by media engineers in the 70s, 80s and 90s, who operated tape machines that are now obsolete. There is the risk that when those people die, the knowledge will die with them. Of course it is possible to get hold of operating manuals, but this is by no means a guarantee that the mechanical techniques will be understood within a historical context that is increasingly tape-less and software-based. 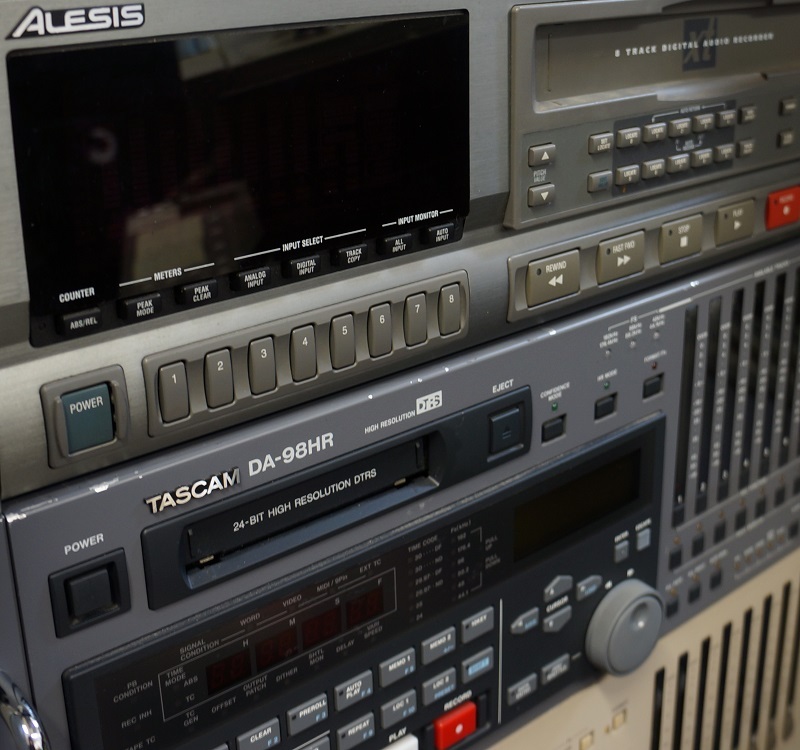 By keeping our wide selection of audio and video tape machines purring, we are sustaining a machinic-industrial folk knowledge which ultimately helps to keep our customer’s magnetic tape-based, media memories, alive. Of course a certain degree of historical accuracy is required in the transfers because, very obviously, you can’t play a V2000 tape on a VHS machine, no matter how hard you try! 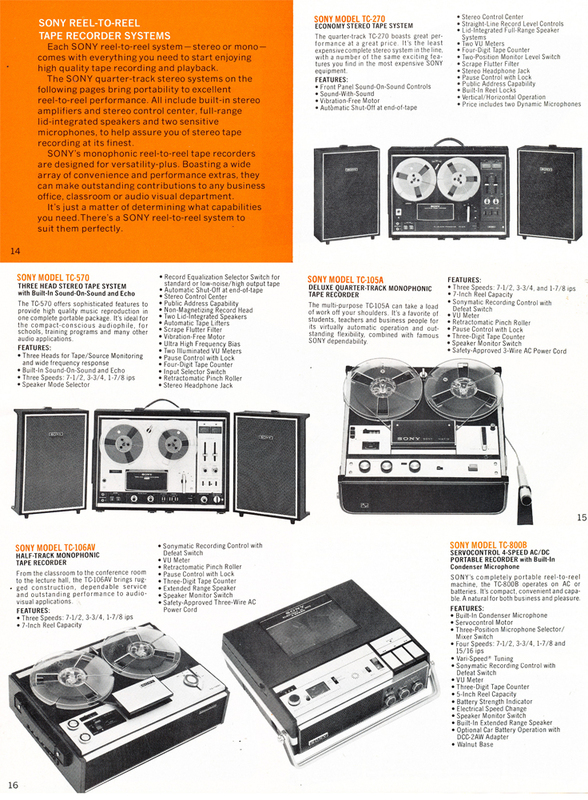 Yet the need to play back tapes on exactly the same machine becomes less important in instances where the original tape was recorded on a domestic reel-to-reel recorder, such as the Grundig TK series, which may not have been of the greatest quality in the first place. To get the best digital transfer it is desirable to play back tapes on a machine with higher specifications that can read the magnetic information on the tape as fully as possible. This is because you don’t want to add any more errors to the tape in the transfer process by playing it back on a lower quality machine, which would then of course become part of the digitised signal. 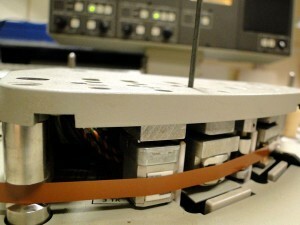 It is actually very difficult to remove things like wow and flutter after a tape has been digitised, so it is far better to ensure machines are calibrated appropriately before the tape is migrated, even if the tape was not originally recorded on a machine with professional specifications. What is ultimately at stake in transferring analogue tape to digital formats is the quality of the signal. Absolute authenticity is incidental here, particularly if things sound bad. The moral of this story, if there can be one, is that with any act of transmission, the recorded signal is liable to change. These can be slight alterations or huge drop-outs and everything in-between. The agile software developers know that given the technological conditions in which current knowledge is produced and preserved, transformation is inevitable and must be responded to. Perhaps it is realistic to assume this is the norm in society today, and creating digital preservation systems that are adaptive is key to the survival of information, as well as accepting that preserving the ‘full picture’ cannot always be guaranteed. We are currently migrating a collection of tapes made by Irene Brown who, in the late 1960s, was a school teacher living in Inverness. Irene was a member of the Inverness folk club and had a strong interest in singing, playing guitar and collecting the musical heritage of folk and Gaelic culture. The tapes, that were sent by her niece Mrs. Linda Baublys, are documents of her Auntie’s passion, and include recordings Irene made of folk music sung in a mixture of Gaelic and English at the Gellions pub, Inverness, in the late 1960s. Perhaps most illustriously, the tapes include a prize-winning performance at the annual An Comunn Gaidhealach/ The National Mòd (now Royal National Mòd). The festival, which has taken place annually at different sites across Scotland since it was founded in 1892 is modelled on the Welsh Eisteddfod and acts ‘as a vehicle for the preservation and development of the Gaelic language. It actively encourages the teaching, learning and use of the Gaelic language and the study and cultivation of Gaelic literature, history, music and art.’ Mòd festivals also help to keep Gaelic culture alive among diasporic Scottish communities, as demonstrated by the US Mòd that has taken place annually since 2008. If you want to find out more about Gaelic music visit the Year of the Song website run by BBC Alba where you can access a selection of songs from the BBC’s Gaelic archive. If you prefer doing research in archives and libraries take a visit to the School of Scottish Studies Archives. Based at the University of Edinburgh, the collection comprises a significant sound archive containing thousands of recordings of songs, instrumental music, tales, verse, customs, beliefs, place-names biographical information and local history, encompassing a range of dialects and accents in Gaelic, Scots and English. 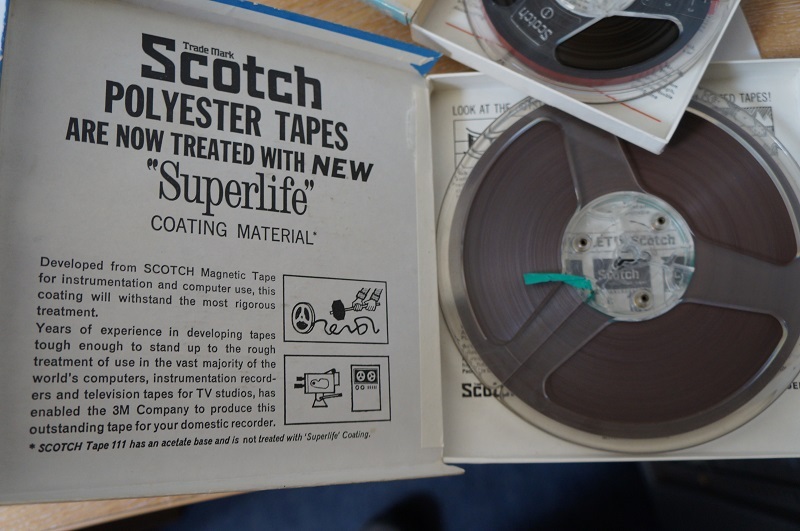 As well as learning some of the songs recorded on the tape to play herself, Linda plans to eventually deposit the digitised transfers with the School of Scottish Studies Archives. She will also pass the recordings on to a local school that has a strong engagement with traditional Gaelic music. Linda told us it was a ‘long slog’ to get the tapes. After Irene died at the age of 42 it was too upsetting for her mother, and Linda’s Granny, to listen to them. The tapes were then passed onto Linda’s mother who also never played the tapes, so when she passed away Linda, who had been asking for the tapes for nearly 20 years, took responsibility to get them digitised. The tapes were in fairly good condition and minimal problems arose in the transfer process. One of the tapes was however suffering from ‘country-laning’. This is when the shape of the tape has become bendy (like a country lane), most probably because it had been stored in fluctuating temperatures which cause the tape to shrink and grow. 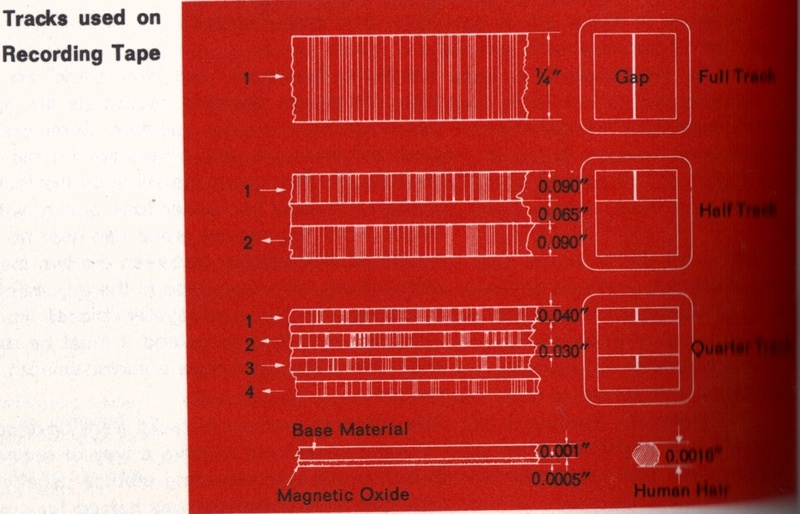 It is more common in acetate-backed tape, although Linda’s tapes were polymer-backed. Playing a tape suffering from country-laning often results in problems with the azimuth because the angle between tape head and tape are dis-aligned. A signal can still be discerned, because analogue recordings rarely drop out entirely (unlike digital tape), but the recording may waver or otherwise be less audible. When the tape has been deformed in this way it is very difficult to totally reverse the process. Consequently there has to be some compromise in the quality of the transfer. We hope you will enjoy this excerpt from the tapes, which Linda has kindly given us permission to include in this article. 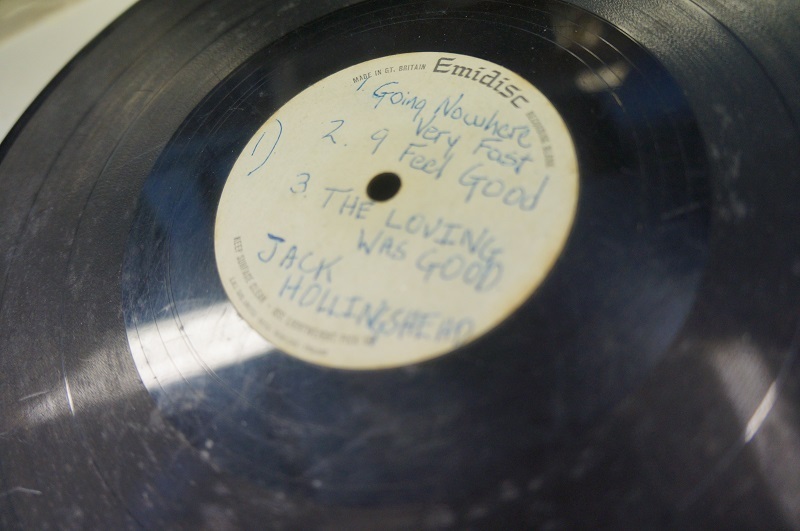 Often the tapes we receive to digitise are ‘forgotten’ recordings. Buried under a pile of stuff in a dark, cold room, their owners think they are lost forever. Then, one day, a reel of the mysterious tape emerges from the shadows generating feelings of excitement and anticipation. 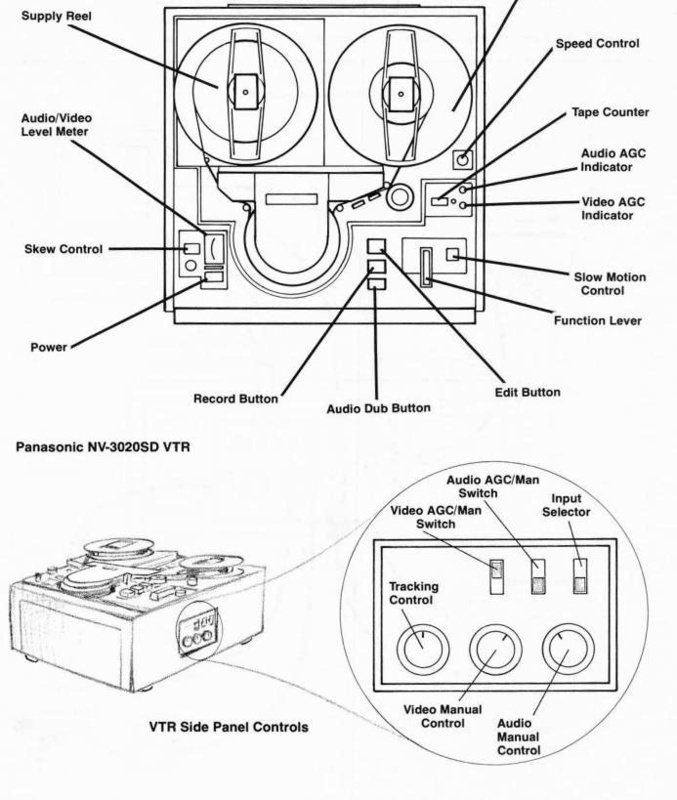 What is stored on tape? Is the material in a playable condition? What will happen to the tape once it is in a digital format? The tape had been in the wilderness for the past 30 years, residing quietly in a shed in rural Cambridgeshire. 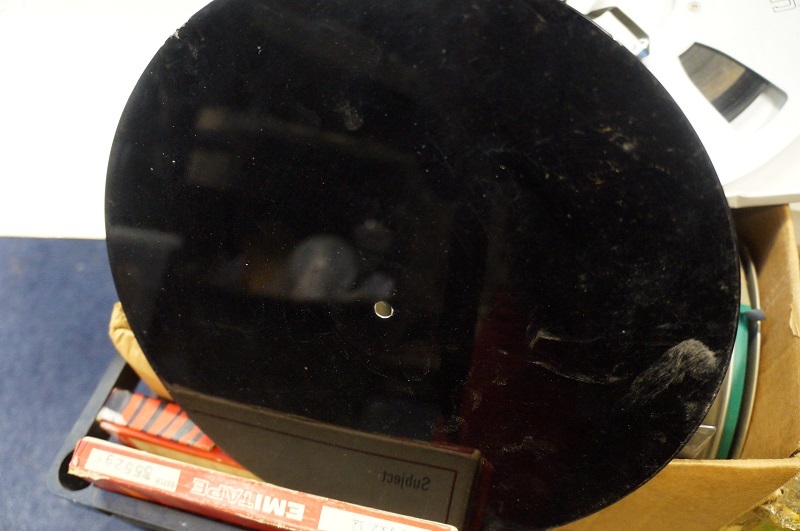 It was in fairly good condition, displaying no signs of damage such as mould on the tape or spool. Like many of the AMPEX tapes we receive it did need some baking treatment because it was suffering from binder hydrolysis (a.k.a. Sticky Shed Syndrome). The baking, conducted at 49 Celsius for 8 hours in our customised oven, was successful and the transfer was completed without any problems. We created a high resolution stereo 24 bit/ 96 kHz WAV file which is recommended for archived audio, as well as a MP3 access copy that can be easily shared online. 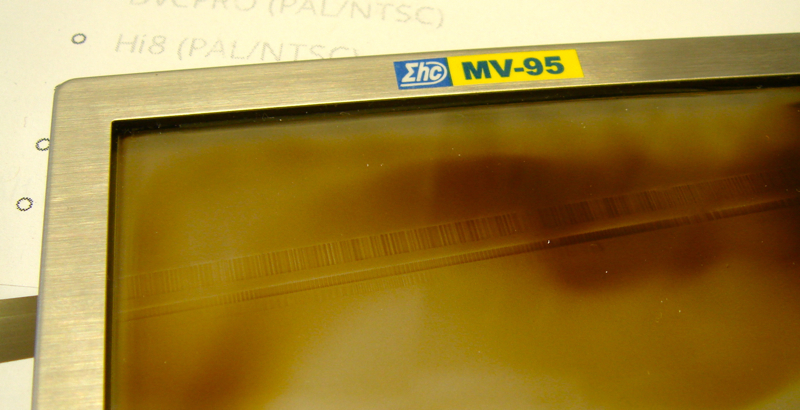 Image of tape post-transfer. When it arrived the tape was not wound on neatly and there was no leder tape on it. 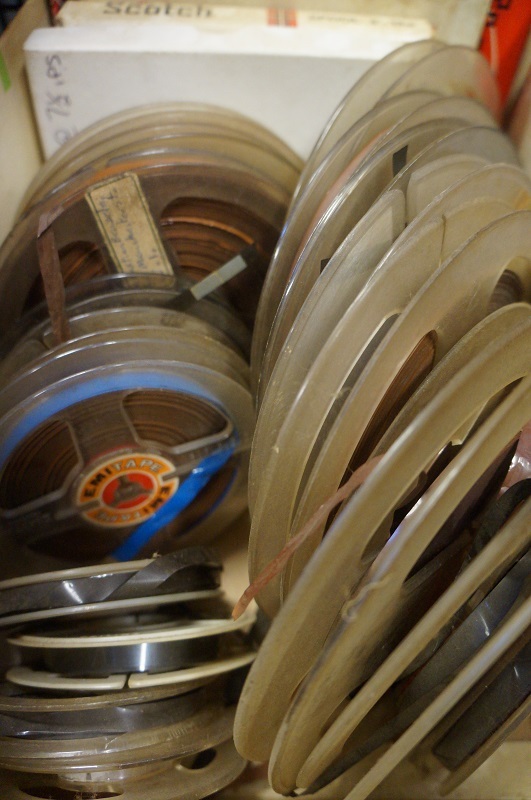 Finding old tapes and sending them to be digitised can be a process of discovery. Originally Paul thought the tape was of a 1983 session recorded at the Out of the Blue Studios in Ancoats, Manchester, but it became apparent that the tape was of an earlier recording. 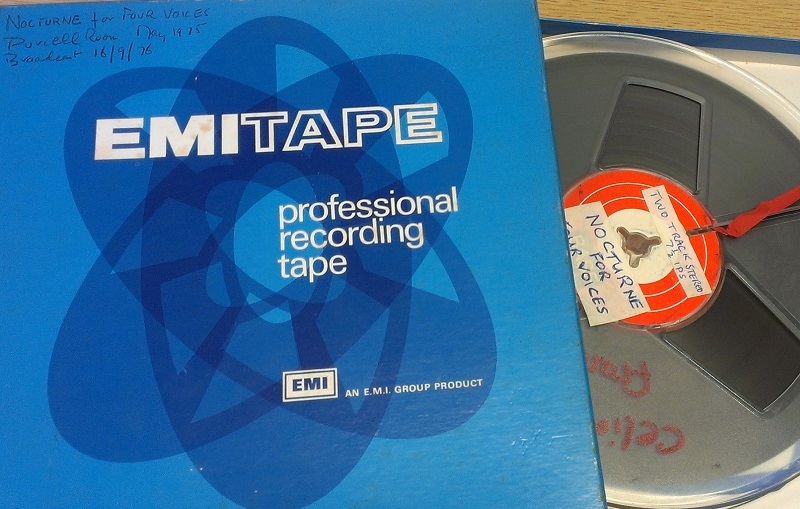 Soon after we digitised the first recording we received a message from Paul saying another State Victims tape had ‘popped up in an attic’, so it is amazing what you find when you start digging around! Like many other bands connected to the Manchester area, the digital artefacts of State Victims are stored on the Manchester District Music Archive (MDMA), a user-led online archive established in 2003 in order to celebrate Greater Manchester music and its history. The MDMA is part of a wider trend of do it yourself archival activity that exploded in the 21st century due to the availability of cheap digital technologies. 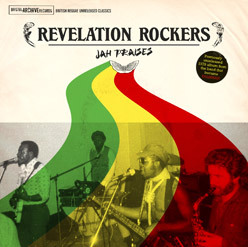 In what is arguably a unique archival moment, digital technologies have enabled marginal, subcultural and non/ anti-commercial music to widely circulate alongside the more conventional, commercial artefacts of popular music. This is reflected in the MDMA where the artefacts of famous Manchester bands such as The Smiths, The Fall, Oasis and Joy Division sit alongside the significantly less famous archives of the Manchester Musicians Collective, The Paranoids, Something Shady and many others. Within the community-curated space of the MDMA all of the artefacts acquire a similar value, derived from their ability to illuminate the social history of the area told through its music. Much lip service has been paid to the potential of Web 2.0 technologies and social media to enable new forms of collaboration and ‘user-participation’, but involving people in the construction of web-based content is not always an automatic process. If you build it, people do not always come. As a user-led resource, however, the MDMA seems pretty effective. It is inviting to use, well organised and a wide range of people are clearly contributing, which is reflected in the vibrancy of its content. 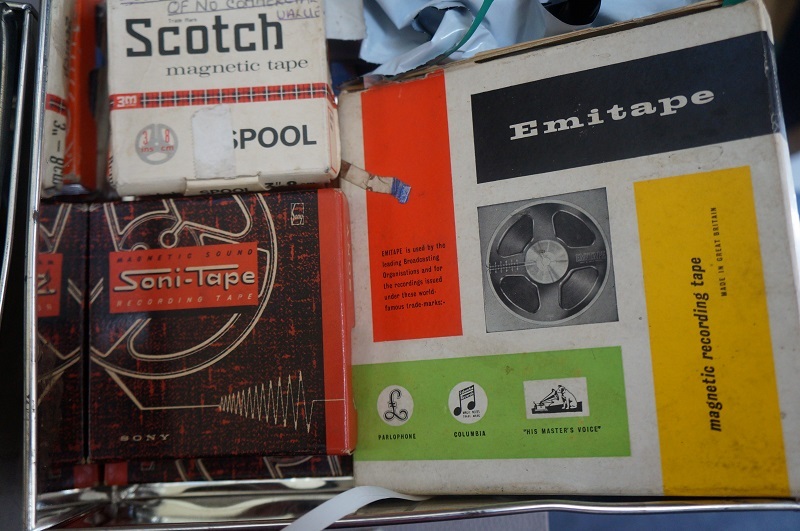 It is exciting that such an online depository exists, providing a new home for the errant tape, freshly digitised, that is part of Manchester’s music history. 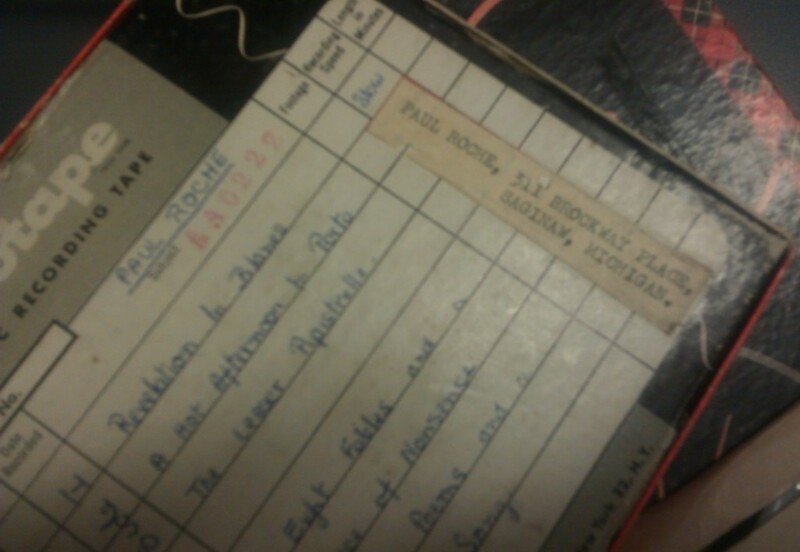 We were recently sent a very interesting collection of recordings of the late poet, novelist and acclaimed translator Paul Roche. During his colourful and creative life Roche published two novels, O Pale Gallellean and Vessel of Dishonour, and several poetry collections, and brushed shoulders with some of the 20th century’s most captivating avant-garde artistic and literary figures. His faculty colleague when he worked at Smith College, MA in the late 1950s was none other than Sylvia Plath, who pithily described Roche’s ‘professional dewy blue-eyed look and his commercially gilded and curled blond hair on his erect, dainty bored aristocratic head’. His intense 30 year friendship with painter Duncan Grant was immortalised in the book With Duncan Grant in Southern Turkey, which documented a holiday the friends took together shortly before Grant’s death. The relationship with Grant has often eclipsed Roche’s own achievements, and he is often mistakenly identified as a member of the Bloomsbury group. Roche also achieved success beyond the literary and scholarly world when his translation of Oedipus the King became the screenplay for the 1968 film starring Christopher Plummer and Orson Welles. 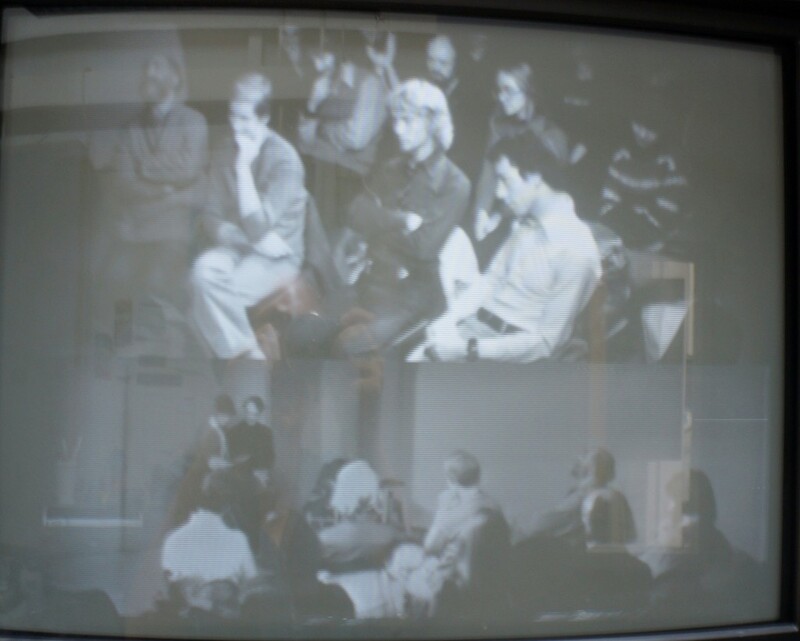 The recordings we were sent were made between 1960-1967 when Roche worked at universities in America. Roche experienced greater professional success in America, and his translations of Ancient Greek are still used in US schools and universities. 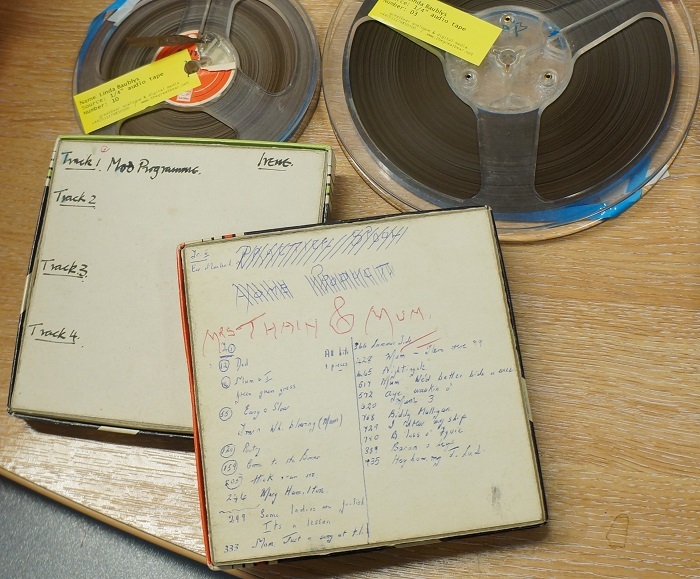 His son Martin, who sent us the tapes, is planning to use the digitised recordings on a commemorative website that will introduce contemporary audiences to his father’s creative legacy. The Great Bear Studio has been pleasantly awash today with the sound of Roche reading poetry and his dramatic renditions of Sophocles’ ‘Oedipus the King’, ‘Oedipus at Colonus’ and ‘Antigone’. The readings communicate his emphatic pleasure performing language via the spoken word, and an unique talent to immerse listeners in images, rhythm and phrases. Listen to Paul Roche reading his translation of ‘Antigone’. Our own pleasure listening to the recordings has however been disrupted because of frequent snaps in the tape. The tapes are covered in splices, which suggests they had been edited previously. Over time the adhesive glue has dried out, breaking the tape as it moves through the transport. 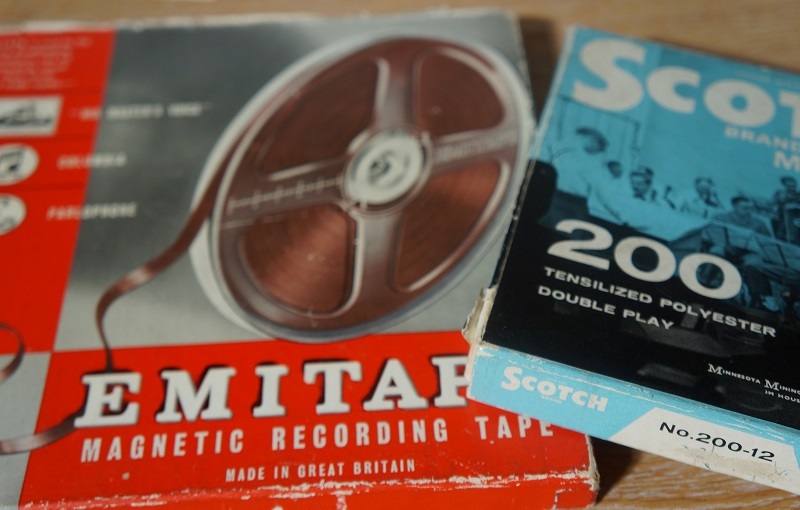 The collection of tapes as a whole are fairly brittle because the base film, which forms the structural integrity of the tape, is made of acetate. The big downside to acetate is that when it degrades it loses its flexibility and becomes a bit like an extended tape measure. This means it is harder to pass the tape consistently through the tape transport. This is colloquially known in the digitisation world as ‘country-laning’, when the tape changes shape in all dimensions and becomes wiggly, like a country lane. To extend the metaphor, a well functioning tape should be flat, like, one supposes, a motorway. When a tape is ‘country-laning’ it means tracks of recorded material are moving slightly so they shift in and out of phase, dis-aligning the angle between the tape head(s) and tape, or azimuth. This has a detrimental effect on the quality of the playback because the machine reading the recorded material on the tape is at odds with surface area from which the information is being read. Acetate tape is also particularly vulnerable to excessive heat exposure, which makes it shrink in size. This is why you should never bake acetate tape! When acetate tape is exposed to heat it reaches what is known as the liquid-glass transition phase, the temperature where the material composition starts to change shape from a hard and relatively brittle state into a molten or rubber-like state. Although glass transition is reversible, it certainly is destructive. In other words, you can change the tape back from molten to a hard substance again but the tape would be unplayable. 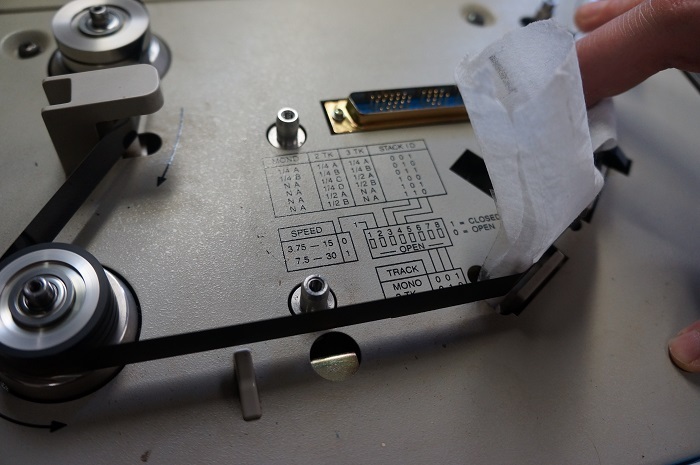 While acetate backed tape has certain advantages over polyester tape in the migration process, namely it is easier to cleanly splice together tape that has broken as it has moved through the transport, unfortunately acetate tape is more fragile, and can get extremely stiff which makes it difficult to play back the tape at all. Even if you can pass the tape through the machine it may snap regularly, and will therefore require a lot of treatment in the transfer process. So if you have a valuable tape collection stored predominantly on acetate tape, we strongly recommend getting it migrated to digital format as soon as possible due to the fragility of the format. And if that whiff of vinegar is present, you need to move even more quickly! What can the packaging of a tape object tell you? Even before a tape is played back prior to transfer the packaging can tell you a lot about how and where it has been stored, and what it was used for. Whether the boxes include sparse notation or are covered in stamps from countries across the world, the places where the tape has been, and the personality of its owners, sometimes shines through. The packaging can also provide insight about the cultural context of tape, like this 3″ spool that was marketed to link ‘absent friends’. The space on the back of the box to affix a stamp (that remains empty), shows how these tapes were posted to friends and family who lived far away from each other, prior to the introduction of the telephone. 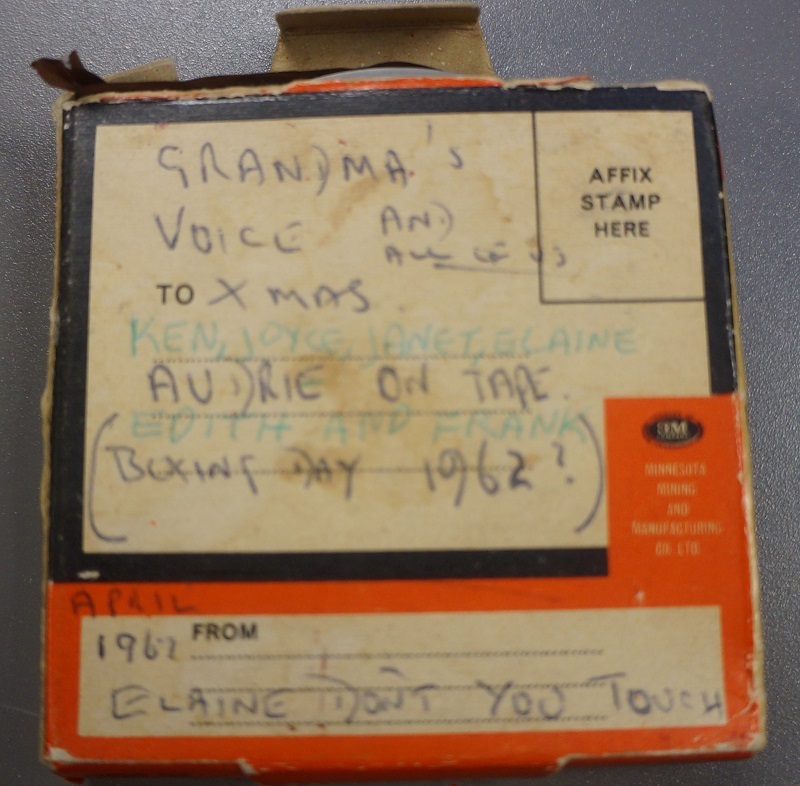 The back of the tape indicates how it was used to record family gatherings, with precious recordings of ‘Grandma’s voice’ and ‘all of us’ together on rare occasions such as ‘Boxing Day 1962?’ And perhaps further recordings five years later, with the warning of the tape’s special content: ‘Elaine Don’t You Touch’, preventing further use. 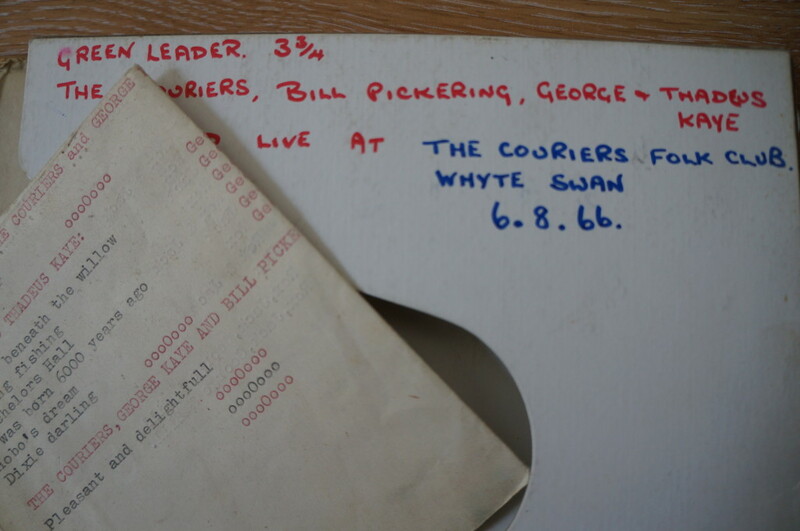 We were recently sent a ¼ inch tape by Ed Bates that included recordings from the Couriers Folk Club in Leicester, which ran from Autumn 1964 – June 1974. 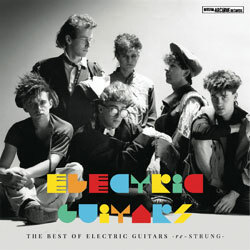 The tape features performances from The Couriers (Jack Harris and Rex Brisland), George and Thadeus Kaye, Bill Pickering, Mark Newman and Mick Odam. As well as supporting grassroots folk music from the local area, well known performers such as musical superstar Barbara Dickson, Paul Simon and Joni Mitchell graced the stage. The tape recordings we received span five years. The first recording was made on 6 August 1966, then 3 September 1966, 8 February 1970 and finally 9 April 1971. Each performance was recorded on a separate track in mono. This means that the 7” long spool contains 8 hours of music! Like today’s MP3 digital files, the quality of the recorded sound is compromised because so much information is squeezed into a smaller space on the tape. A better quality recording would have been made if all four channels were used for a single performance, rather than one track for each performance. While the recordings certainly would have benefited from less haphazard recording conditions, the quality of the transfer is surprisingly crisp, as you can hear from this excerpt. The tape was in good condition, as Philips magnetic reel-to-reel tape often survives well over time, which aided a good transfer. One thing we were especially attentive to in the transfer process was carefully adjusting the azimuth, because of the slow speed of the original recording and the narrow track width. 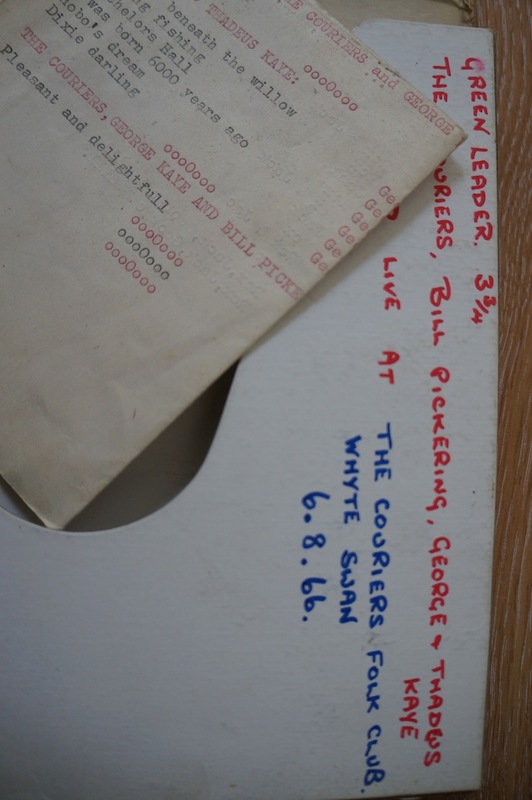 The emergence of recordings of the Couriers Club is especially timely given the recent launch of the English and Folk Dance Society‘s The Full English online digital archive . This contains a massive 44,000 records and over 58,000 digitised images about English folk history. With a dozen or more tapes recently found from the Club, we look forward to helping this unique part of cultural heritage become accessible again. You are currently browsing the greatbear analogue and digital media blog archives for July, 2013.